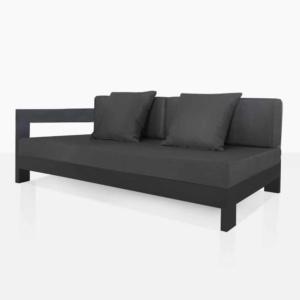 The classic daybed can transform your space into one of pure luxury by creating an area that allows you to relax in utter comfort and stability of your home, your space. 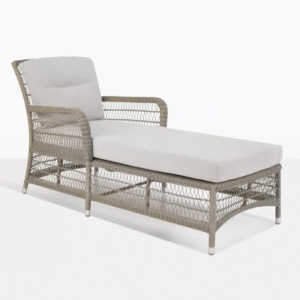 At Design Warehouse, we have an amazing array of stunning outdoor daybeds, all different styles and materials for you to be able to make the most of your outdoor living area. 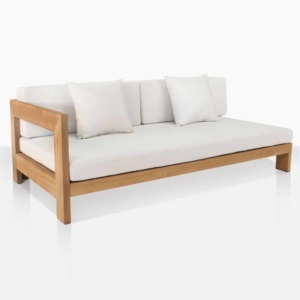 Whether you’re curating a large deep seating area, or need a simple, chic piece to make the most of your layout, a welcoming daybed will allow you to lounge in peace and host friends. 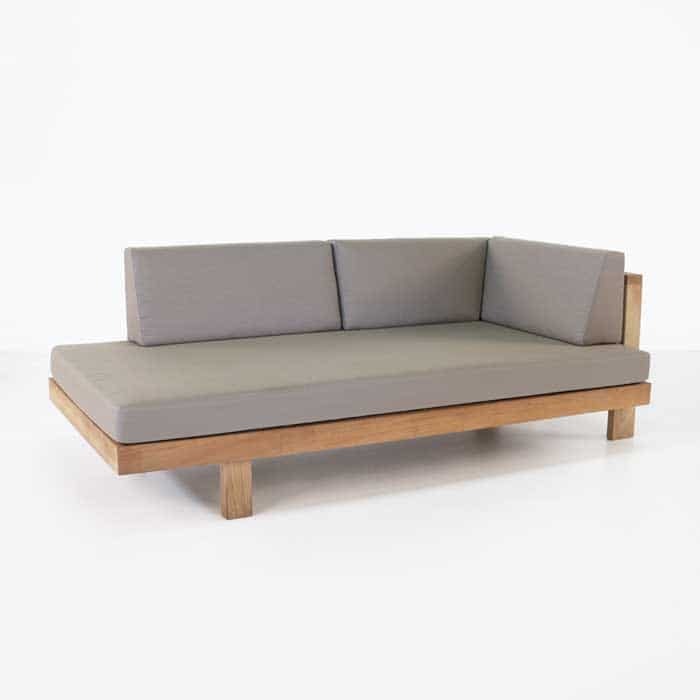 It’s time to map out a terrific territory to rejuvenate and regenerate in, with one of the tremendous outdoor daybeds or settees from Design Warehouse. 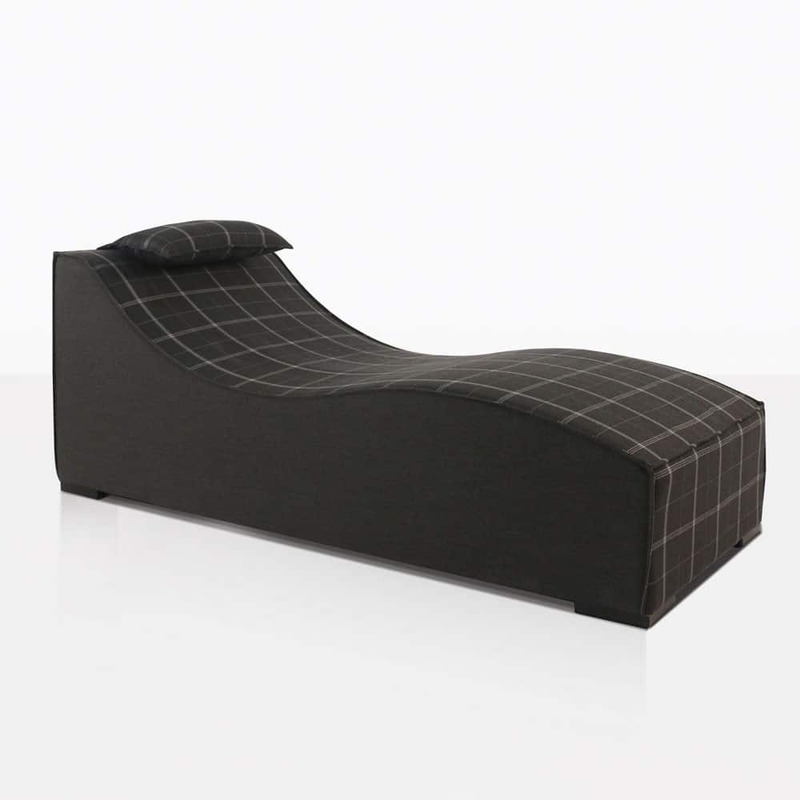 Encouraging reclining, lounging and seating in your space, a daybed is a melding of a classic chaise lounge, a sofa and a bed! So whether you need a place to contemplate or host wonderful friends in peace and harmony, we know we will have something for you! 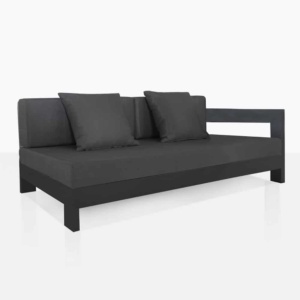 Our amazing daybeds are made from all types of hard wearing, luxurious materials. 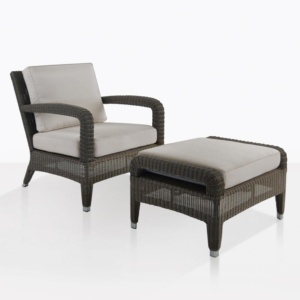 Be delighted by wicker, grade a teak, reclaimed teak, concrete, and powder coated aluminium and steel, and in an extraordinary range of styles that mean you can truly make the impact you want. 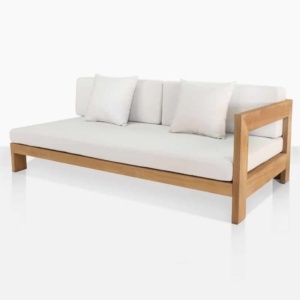 See our entire Teak Deep Seating Collection, including coordinated sectionals and outdoor daybeds. 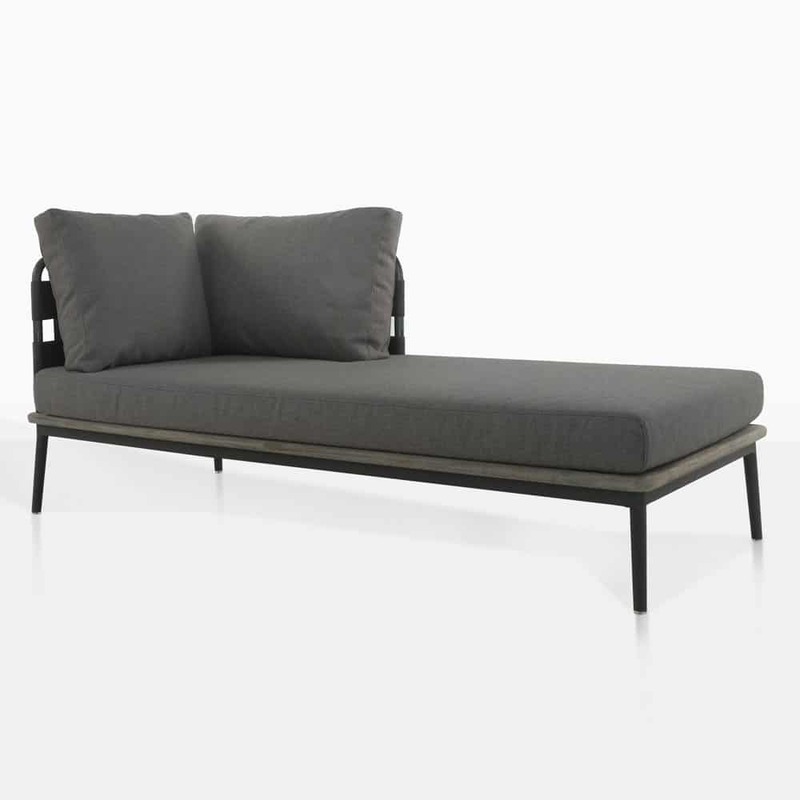 Daybeds offer much versatility to any space, you can utilise them in a sectional story, or place them on their own for a classic chaise lounge type effect. 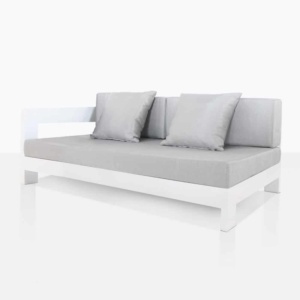 They are the 3 seater sofa with a languid quality, encouraging your guests to melt into a beautiful environment that you have curated, lovingly, with precision. 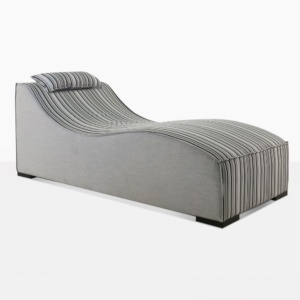 Imagine your lush garden, a tranquil space of contemplation, it’s the perfect place to curl up with a book, to breathe easy, relax in the style and luxury of your environment… you must invest in a daybed! One that speaks to you, your sensibilities, and, of course, your architectural surroundings! 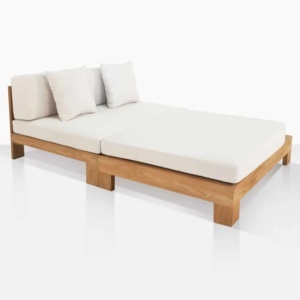 Place natural grade a teak daybed in amongst the flora and fauna for a warm, welcoming and whimsical situation you will adore. 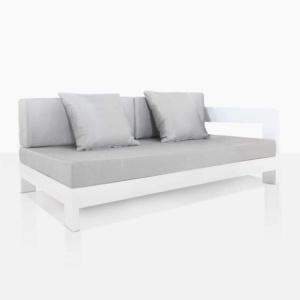 If you’re longing for an upmarket, urban area then why not place left and right contemporary outdoor daybed in situ on your verandah or concreted courtyard? Try our amazing powder coated aluminium for something striking that really stands out. Mix and match side tables and coffee tables in other materials for something really hip and forward thinking. Sample a concrete side or communal table for inbetween daybeds and relish in the cohesive and cool setting you’ve put together. 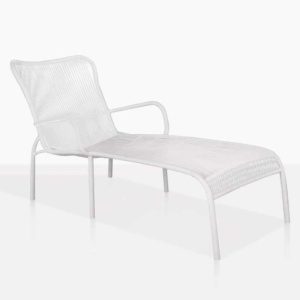 See our entire Aluminium Deep Seating Collection, including build-your-own outdoor loungers and daybeds. 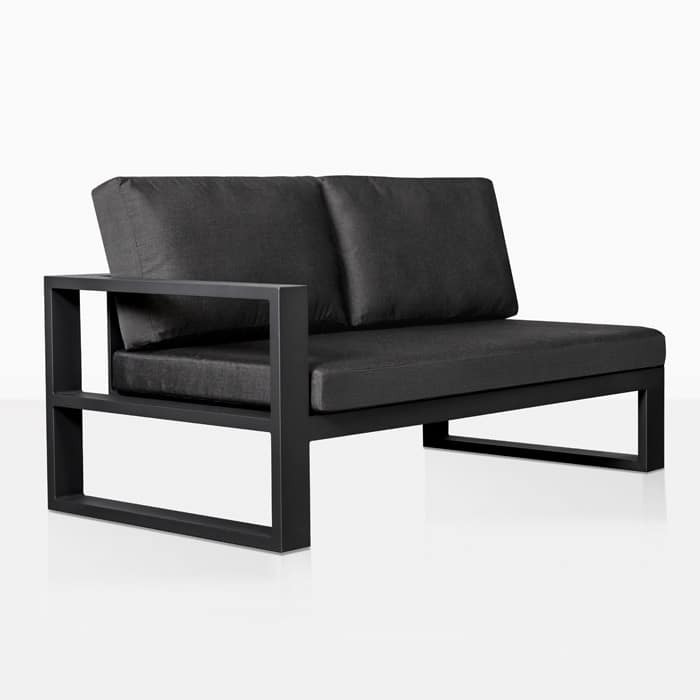 Many of our beautiful outdoor daybeds are so stylish that they also look extraordinary indoors as well as out. Furnish your sitting room, hallway or office space with some of our opulent furniture made from the highest quality materials. Throw a blanket over, and a couple of textured cushions and voila! Instant gratification! 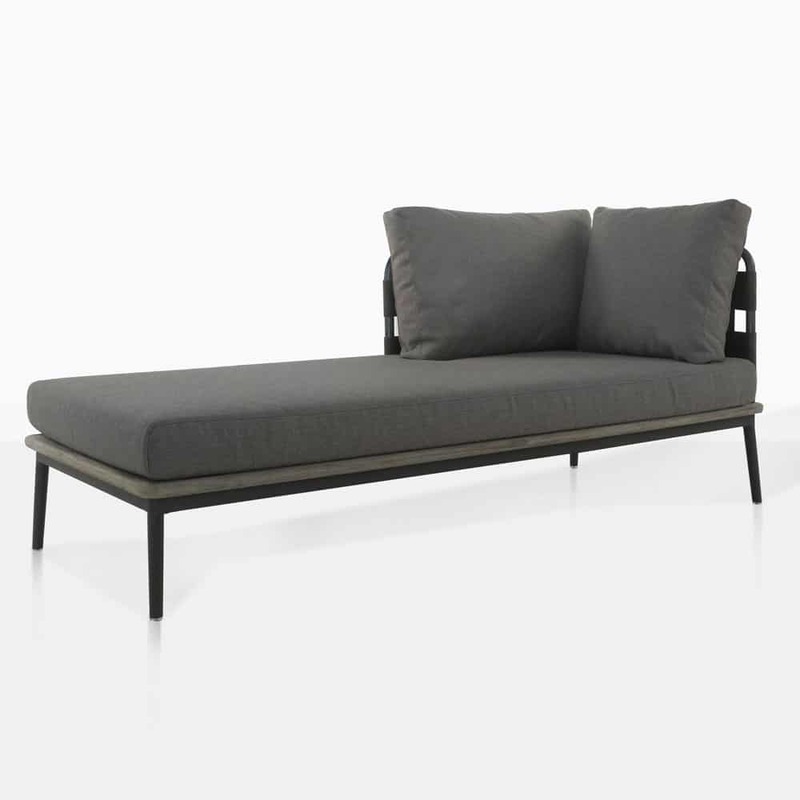 All the daybeds at Design Warehouse are laden with soft and sumptuous Sunbrella® cushions, the prime example of high quality, attractive comfort and luxury! If you have any questions about the materials used in our products, peruse the website or just give us a call! Our sales staff are thrilled to offer you wealth of experience and useful facts for the best and easiest care of your outdoor furniture. Design Warehouse has everything you need to build a better lifestyle in the great outdoors. From our infamous deep seating collections, to the amazing dining options, relaxed seating, umbrellas, accessories and more. We have everything you need in our stunning showroom in Parnell, Auckland or online. We can arrange shipment all around New Zealand! What are you waiting for?! Call us now to redefine how you live, luxuriously, outside. 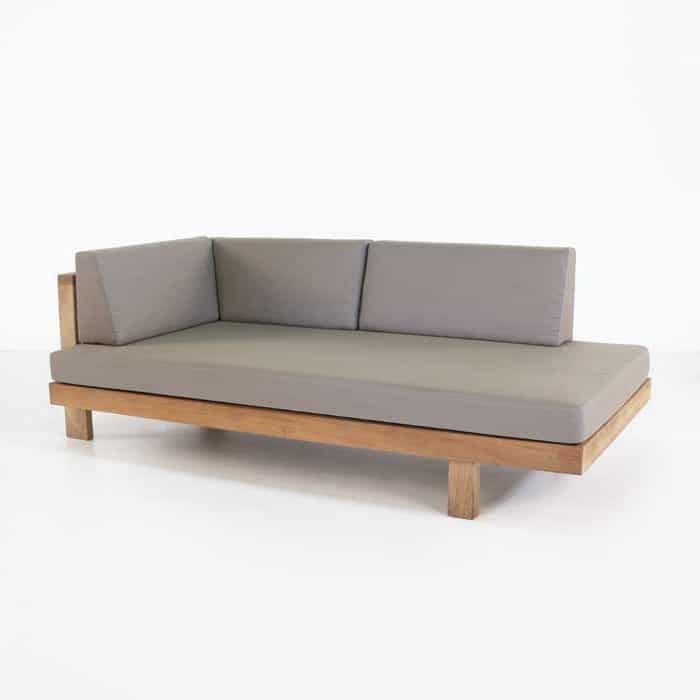 Select these pieces on their own, or match them with additional pieces from their corresponding deep seating collections for a large array of relaxing configurations. 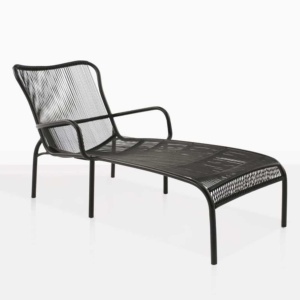 For more poolside relaxation, check out our large selection of sun loungers.